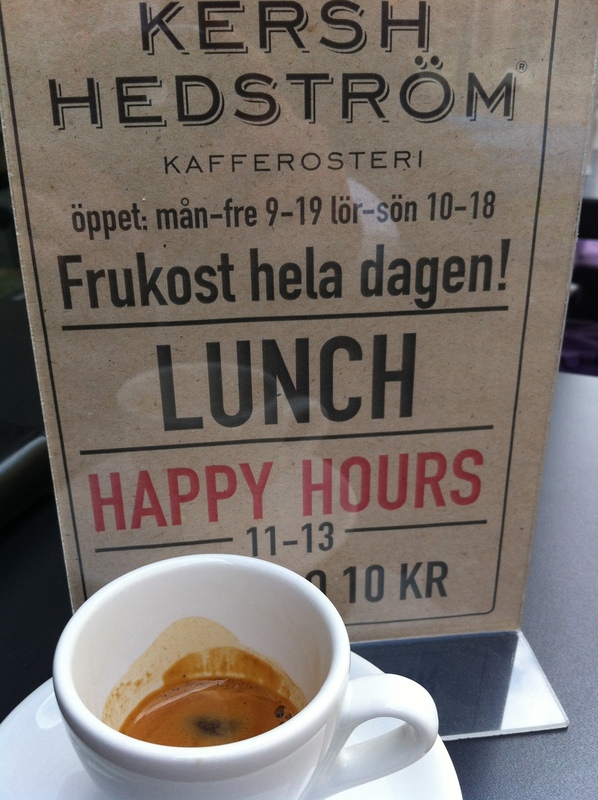 Kersh Hedström: Great coffee, friendly staff… and a happy hour! It is not often that I have the luxury of spending time in a nice café during working hours. My office is located next to Stockholm’s main square and by the biggest pedestrian street. This has many advantages, however, most cafés in the area cater to tourists and an ever changing crowd. Today I found myself around Mariatorget in Södermalm after a meeting at Munchenbryggeriet ended up being much shorter than expected. Since I did not really have time to get back to the office before my 14:00 meeting, I decided to wander around, not really expecting to find a new café in an area I thought I knew well. And then I stumbled on Kersh Hedström. 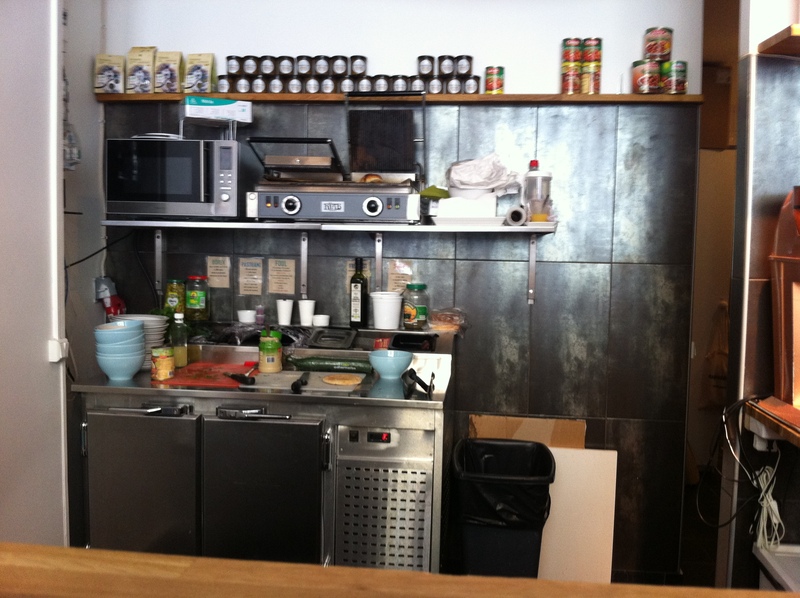 Kersh Hedström is a fairly new café, having opened only 5 weeks ago. 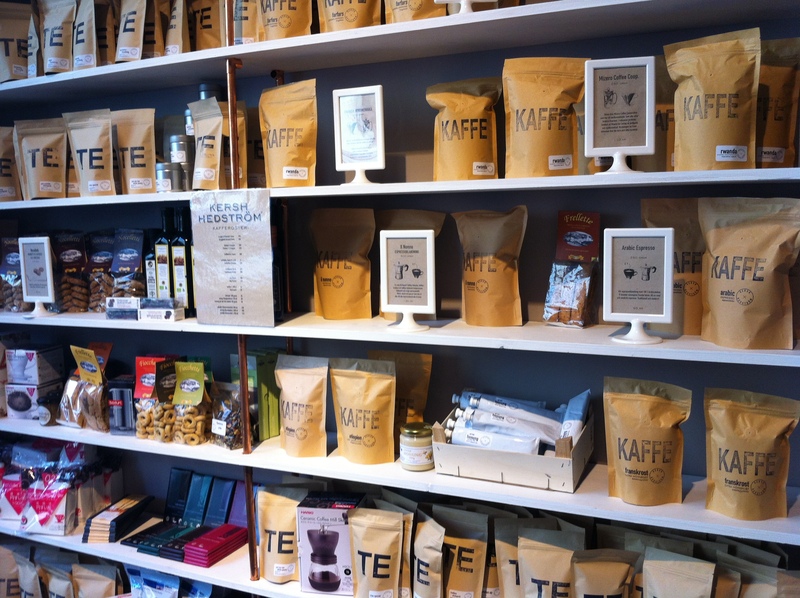 The place is fairly small, as are most boutique cafés in Stockholm, and I could tell as soon as I walked in that Kersh Hedström was in the same category as Drop Coffee, Kafé Esaias, and the like. The two guys working there this afternoon were extremely friendly (there was a girl too but she left just as I arrived… I am pretty sure I have nothing to do with this!). Unfortunately I was not hungry so I started simply with a double espresso. However, there were a few things on the menu that were very tempting, including the börek. The guy behind the counter explained that they had decided to have only a few things on the menu, but that everything on the menu would be great. I will certainly have to go back and test that statement. And as we were talking about food, the guy was giving me my change. I had giving him 50 SEK so I was a bit surprised to get 40 SEK back. The guy noted my surprise and told me there was a happy hour on espresso! I though he was joking, but no, it is true! It was a bit chilly today, which means that- thankfully – the tables on the sidewalk were free. I was able to enjoy the espresso in the sun on my island in the middle of a working day. Sometime life is amazing. I spent a little bit of time surfing the Internet (Kersh Hedström has wifi) and do some people-watching. I also spent some time thinking about a very special person in my life who, at the same time, was on her way back from a wonderful experience with movie stars, producers and all kind of rich and famous people. I saw some photos of her at that event and she was stunningly beautiful. I would have loved to be with her… and it has nothing to do with Hollywood actresses! Thankfully, I had time for another espresso before my next meeting. The happy hour was over, however, so I paid the full price (20 SEK), and I drank it at the counter in the café, right in front of the kitchen corner. 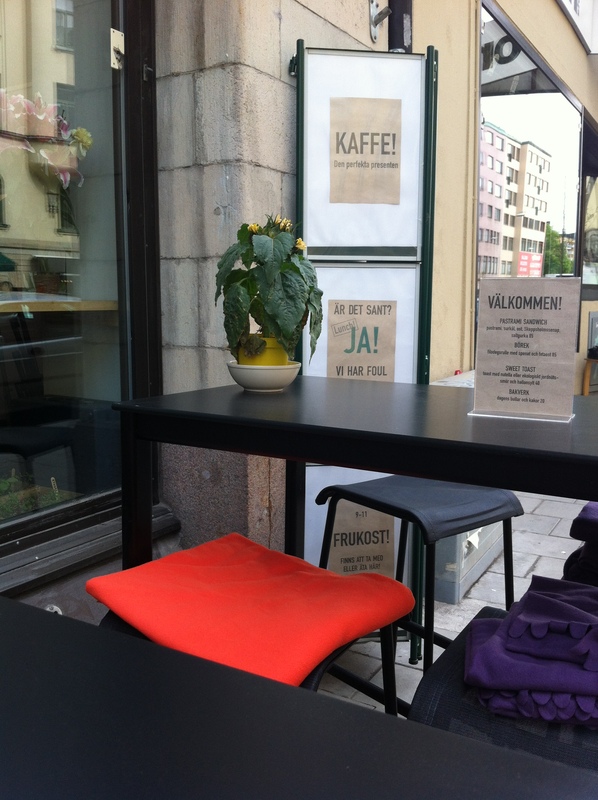 Kersh Hedström is a welcomed addition to the café scene in Södermalm. Coffee is great, staff is friendly, food looks good and there is wifi. In addition to the brewed coffee, the espresso and usual cappuccino, Kersh Hedström also offers the chemex coffee, which I will probably have at my next visit. Oh, I should mention that Kersh Hedström also has the usual “coffee card”, however it is not that usual there. It is a virtual card that one gets by scanning a QR code. I still need to figure how to use the card but is seems like a pretty cool system. I always lose those regular, old-fashioned coffee cards! 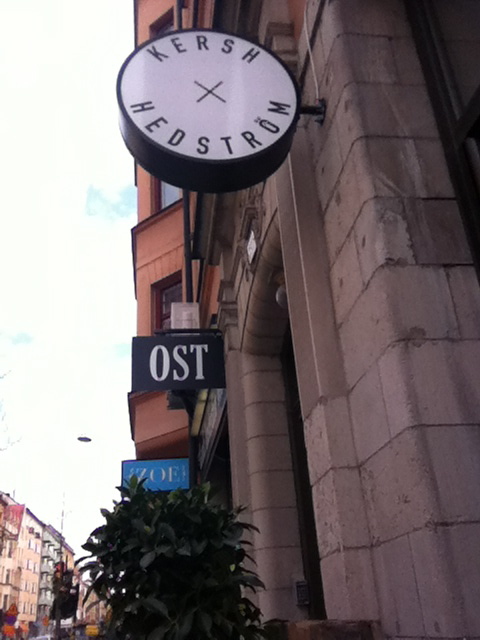 2 Responses to Kersh Hedström: Great coffee, friendly staff… and a happy hour! Wow, coming from a great writer like you, this is a pretty nice compliment. Thanks!